As part of the SMART apartments project in Nové Butovice, 22 commercial units with a total area of 1 850 m2 will be built, and furthermore culture has not been forgotten in the form of a gallery of Czech photography and a newly built parterre with an open air gallery, which leads from Nové Butovice metro station to the Lípa polyclinic building. To ensure a sufficient number of parking spaces for the commercial units, the project will include the construction of an underground P+R car park and a few dozen parking spaces right next to the store units. Leased units will be in cold shell standard with the option of completing the particular commercial unit in accordance with the tenant’s needs. In structure and content (establishment of restaurants, cafés, cosmetics services, pharmacies, surgeries etc. 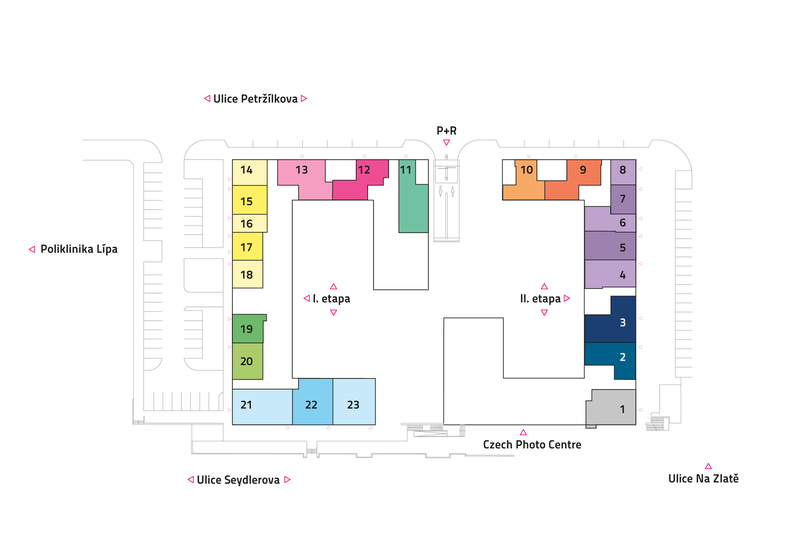 ), commercial units for lease will be based on the needs of the citizens of Prague 13 district and its surroundings. In recent years, Nové Butovice has been undergoing a boom, particularly as a headquarters for new companies. Administrative buildings have sprung up here like mushrooms. Right opposite the metro is HB Reavis’s Metronom administrative building with 33 500 m2 of office space. 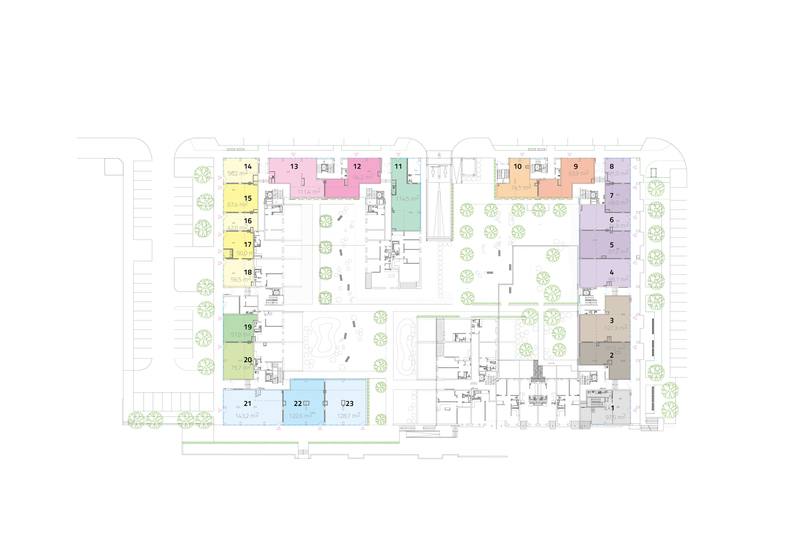 Outside the new project and directly next to Nové Butovice metro station are two other office projects, Explora Business Centre and Office Park Nové Butovice, which together offer 54 000 m2 of office and retail space. Five minutes walk from the metro is another office building. In total, there are around 5 000 employees on working days in close proximity to the metro, who travel to work by public transport or car. During morning rush hour, Nové Butovice metro station is used by around 44 000 passengers. The SMART apartments project assumes growth by roughly 800 citizens in 2015/16 in its locality, whose population right now represents a quarter of the total 60 000 citizens in Stodůlky. Nearby (300 m) the SMART project is the Prague 13 council offices, the public administration hub for the whole of Stodůlky.